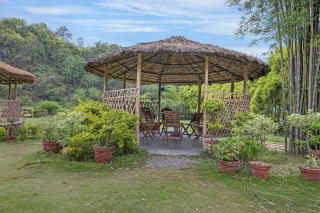 Situated amidst lush foliage in Mussoorie, this is an offering of a private room in a cottage, which can accommodate two people. With a delightful lawn to unwind, this retreat is ideal for couples. 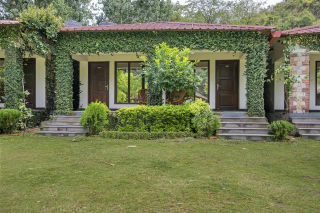 Your Space Flanked by a sprawling shrubbery-lined garden, this holiday home flaunts a quaint façade draped in emerald vines. Cane chairs and a coffee table in the patio make for a great space to savour your morning tea in. The bedroom on offer features a wood-panelled ceiling, vitrified-tile flooring, and a flagstone feature wall that adds a rustic charm to the interiors. The room is furnished with a comfy double bed with side tables and lamps, a chair, and a dresser for convenience. Wide windows allow ample daylight to enter the room. The en suite washroom is tiled and fitted with western sanitary ware. Easy chairs and tables sit in the thatched-roofed garden gazebos and create an ideal setting to relish a hearty snack over some coffee and conversations. 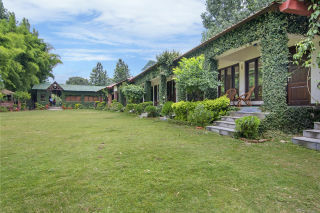 You can also enjoy long romantic strolls in the well-tended lush lawn. 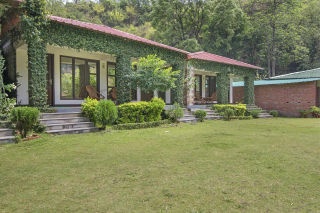 This property is located at Gucchupani at the foothills of Mussoorie. 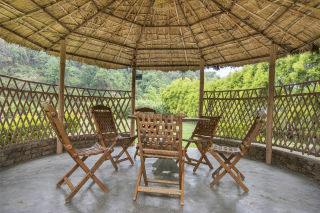 Nearby places to explore from the hotel are Forest Research Institute (Approx. 10km) and Clock Tower (Approx. 8km). Encircled by the commercial centre of the city, the Clock Tower with six faces internet access, is one of the most renowned landmarks of the city.The prominent places to explore in city are Chandrabani, Mall road and Museum. By Air : The nearest airport is "Jolly Grant" which is 33 kms from the city centre, located on the outskirts of the city. Indian Airlines and some other private flight operators offer services between Delhi and Dehradun. 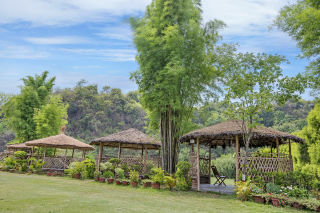 By Road : Dehradun is well connected by roads passing through Hindon River Bridge, Modinagar, Meerut, Muzaffarnagar and Roorkee. This is the Grand Trunk Road which takes only about 5-6 hours from Delhi to reach Dehradun (235 kms). There are regular comfort bus services from Delhi. 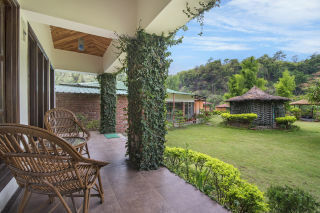 There are deluxe, semi-deluxe and ordinary buses also available to/from Rishikesh, Haridwar, Delhi, Jaipur, Shimla, and Allahabad from/to Dehradun. One can also hire a taxi to reach the destination.